Mikkel Boedker scores three goals and the Coyotes beat the Ottawa Senators 4-1 on Saturday night to end their skid at four games. 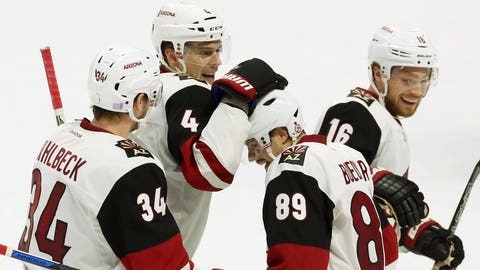 OTTAWA, Ontario — Mikkel Boedker was happier to see the Arizona Coyotes snap their losing streak than score a hat trick. Which marks will stand the test of time? 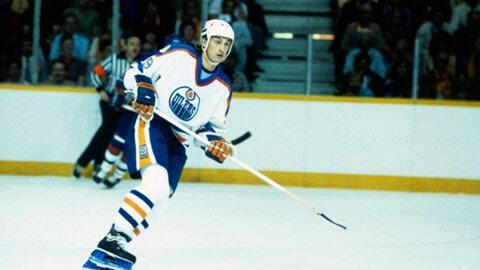 How about The Great One's 2,857 career points? Or Chicago goalie Glenn Hall's streak in net? Check out the records that won't be touched. Nothing melts the ice — and our hearts — like the hard-working Ice Girls of the NHL. From coast to coast, here are the season's best shots. The Senators played the final two periods without Curtis Lazar. Lazar went-face first into the corner boards on a hit from Zbynek Michalek in the first period. Lazar took a few more shifts, but didn’t come out for the remainder of the game. NOTES: Max McCormick made his NHL debut for the Senators after being called up to replace Mike Hoffman, who is day to day with a lower-body injury. D Marc Methot was a late scratch despite saying he would play in the morning. LW Clarke MacArthur didn’t play because of a concussion. … The Coyotes were without C Antoine Vermette (upper-body).